Tucked right on the edge of the piste with dazzling views of the mountains beyond, the Chalet hotel Tarentaise is located in the heart of the Three Valleys - Meribel Mottaret, offering you some of the very best skiing and boarding available in a truly stunning setting. 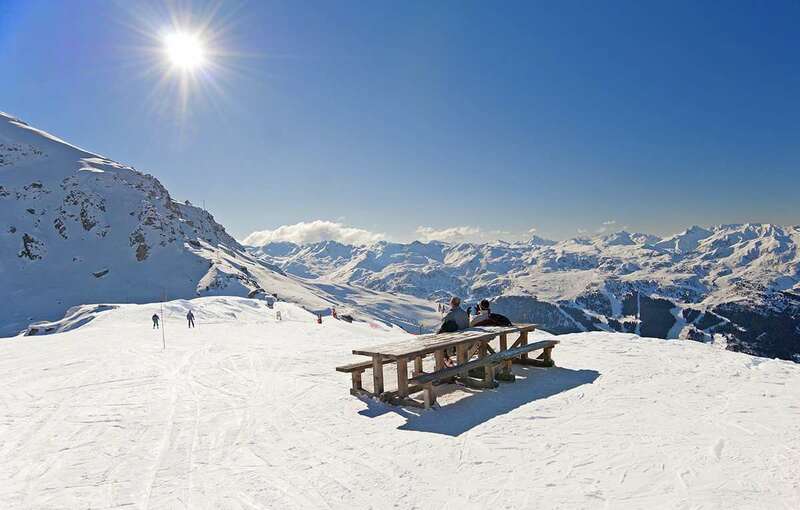 Its central location gives you easy access to the Three Valley network of over 600km of pistes with the added advantage of ski-in ski-out. And if you’re feeling in need of some pampering, all you need to do is pop into our beauty salon and sauna on the lower ground floor.Mottaret has a good choice of bars and restaurants, including Le Rastro, which always has a good buzz. If you fancy an evening in Méribel, it's easily reached by the free resort bus service from the Tarentaise. Please not that from December 2018 the Chalet Hotel Tarentaise will continue to welcome children but will no longer provide childcare. You may charge hotel bills to your room or pay by cash (€). Card payment is accepted at reception. A laundry service is available through reception, at an extra charge. The ski and boot room can be found on the lower ground floor with boot dryer and ski lockers with secure coded door. Chalet hotel Tarentaise has comfortable spacious bedrooms that are all en-suite, have flat screen TV showing English channels and most have balconies. Choose from a twin, double or inter-connecting room, most of which can take an extra bed. At Chalet hotel Tarentaise you'll love the piste views from the dining room. With small and large group tables available you can chose to dine in groups of two or more - as you wish. You’re spoiled for choice when dining at Chalet Hotel Tarentaise - indulge yourself in a full English breakfast, a bowl of fuel-packed porridge, an omelette specially cooked to order or help yourself from a mouth-watering range of fruit, pastries and yoghurts. Our famous afternoon tea with its selection of homemade cakes, bread and soup is available daily and when dining in the evening a choice of starters, main course and dessert are accompanied by complimentary wine. A children's high tea is available 7 days a week for children 12 years and under. One evening a week, dinner is not served in the Chalet hotel allowing you the opportunity to dine out at one of the excellent local restaurants. We had never been in a ski in ski out before and how wonderful it was. Yes the transfer is a bit long but it’s really worth it. The hotel Tarentaise ,the staff specially the 4 chefs, the excellent pistes all contributed to make this holiday better than all the others. Nothing is too much trouble for the staff they are friendly yet professional. Every meal was a feast and there was a very good choice of food. Tea and coffee are available all day long and the afternoon tea is delicious. The chef even made me a birthday cake on my birthday and it was free!??. I stayed in the Chalet Hotel Tarentaise at the end of March, and what a fantastic location right on the slopes. Being later on in the season the snow was getting slushy, however being in Morraret your 300m higher than Meribel which really makde the difference. Just a perfect position to get around the 3 valleys and access all the skiing. A another great plus in the Chalet is having there hire shop in house, no need to go trek to collect and give back your gear. Furthermore if you wanted to change boots, skis or board they will come back to the chalet for you. The childcare facilities are all in house as well with a great child to childcare staff ratio, lower than many other operators. There is also a sauna free of charge and spa treatment facilities. On the whole I don&#39;t think you can be in a better place in Meribel, Mark Warner have found a gem here and it&#39;s definitely a big contender within the 3 valleys.